Indie pop group Teleman began life in 2012 signing with Moshi Moshi Records, the same label that British indie pop group Metronomy have released music on. The London four-piece have recently released their third studio record, ‘Family of Aliens’, which peaked at Number 40 on the UK Albums Chart; the band’s highest charting album to date. The new LP has seen the band take more of an electronic direction to their music with more synths and ’80s-style basslines helping to achieve electro-pop liftoff. This is most notable on their new single ‘Cactus’, which almost sounds like Hotchip track. They have once again proven that following their own path musically is way more important to them than producing predictable markers of success. To celebrate the new record, the four-piece embarked on a UK wide tour. Stopping off in inSYNC’s home town of Portsmouth, Teleman brought their unique style of indie pop to independent venue The Wedgewood Rooms. Their fourteen track set was an eclectic choice of songs from all three records, indulging our ears with their slick approach to their sound. Brothers Thomas and Jonny Sanders took hold of their roles as frontman and synthmaster impressively. With Pete Cattermoul on bass guitar and Hiro Amamiya on drums, Teleman was gripping; it’s sometimes hard to find a band with such live conviction during a time when British guitar music is far from its best, but this group surpassed our expectations. 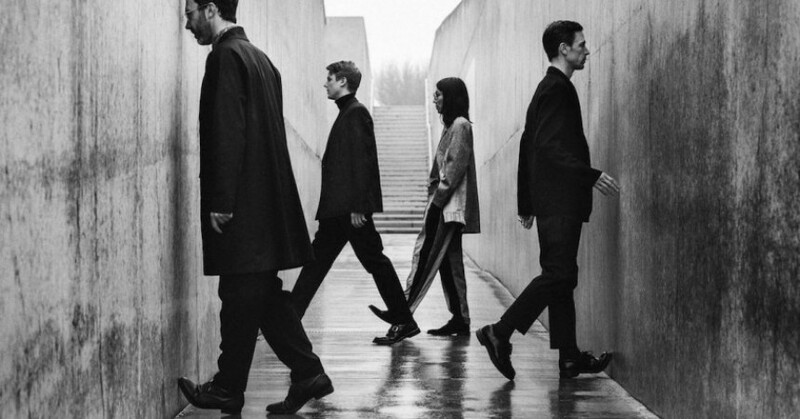 Teleman continues to grow within the country’s indie scene and continues to impress with their melodic guitar riffs coupled with mechanic beats and driving basslines. We hope to see them pop up at some festivals in the coming summer festival season.